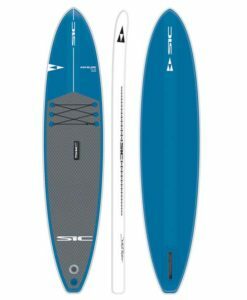 The Infinity Wide Aquatic is a maximum performance touring board with added width for stability, volume, and comfort. The infinity touring boards share the same race styling for max performs while on the water. We’ve added a few bells and whistles to make your journey a little easier with a comfortable traction pad, bungee tie downs, and FCS mount for GoPro and multiple other accessories. WideAquatic Tour 12’6″ and 14′ from InfinitySURF on Vimeo.